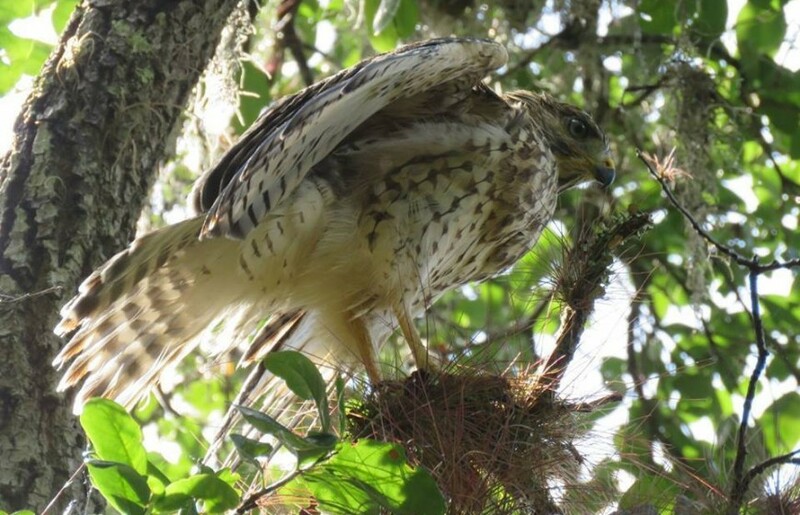 Photo of juvenile Red-shouldered Hawk taken by China Bont. On a Tuesday morning, May 3, fourteen people met for the final PRAS walkabout of the 2015-2016 season. 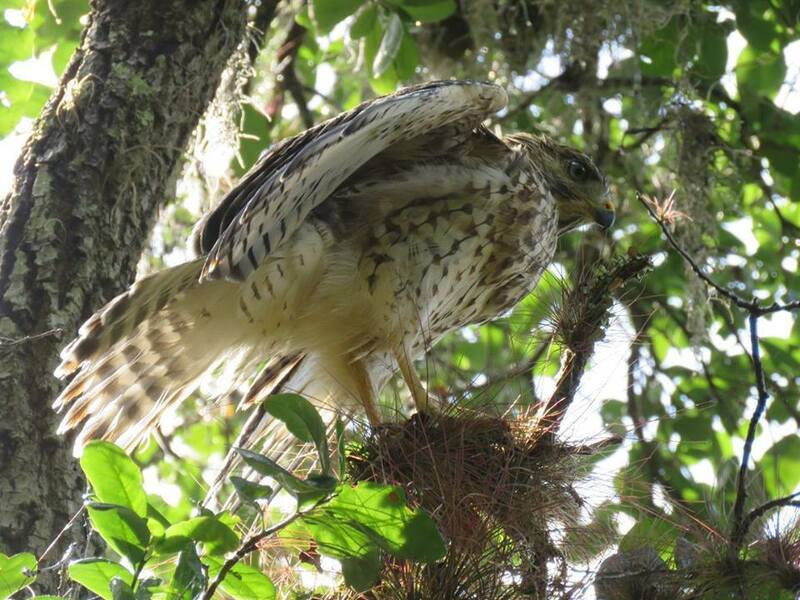 In the picnic area at the entrance to the trails we enjoyed watching a fledgling Red-shouldered Hawk. On the trail following the creek we walked under large Live Oaks draped in Spanish moss, listening to Northern Parulas and White Eyed Vireos. Catbirds, Blue-gray Gnatcatchers, and Cardinals could also be seen and heard. We also saw a Swallow-tailed Kite and a Wood Stork soaring in the blue skies overhead. As we left the Red Trail, some dark clouds appeared and we were caught in a steady light rain. Our birding observations were over as we headed for the shelter back in the grassy picnic area. While at the park we observed a total of 11 species of birds. 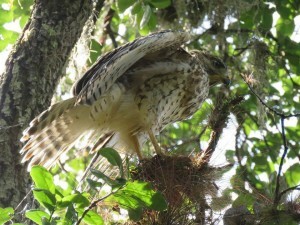 As the rain cleared and the sun came out the Red-shouldered Hawks could be seen drying their wings in the sunshine. It was a nice finish to our walkabout. The Final Field Trip of this Season will be a paddling trip to Myrtle Slough on Saturday, May 21. For information contact Mike Krzyzkowski at 863-244-2653. Field trip report by Shannon McGinnis.